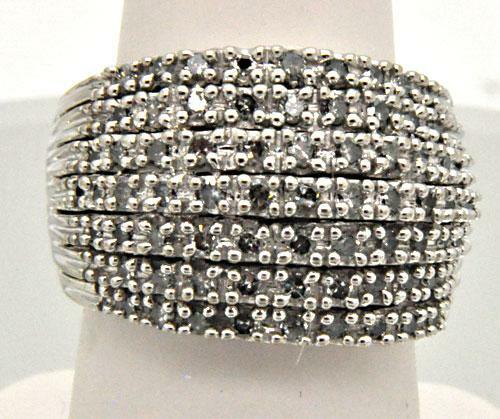 LADIES 14 KT WHITE GOLD DIAMOND RING. IT HAS 1.00 CARAT OF DIAMONDS ALL SET IN PRONGS. SIZE IS 7.25 WEIGHT IS 8.5 GRAMS. 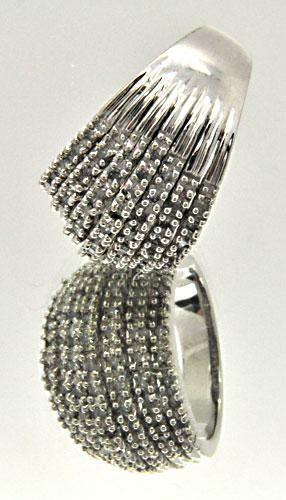 THERE ARE 71 ROUND BRILLIANT CUT DIAMONDS TOTALING 1.00 CARAT. DIAMONDS SPARKLE IN EVERY DIRECTION. RING IS 15 MM WIDE AT TOP. 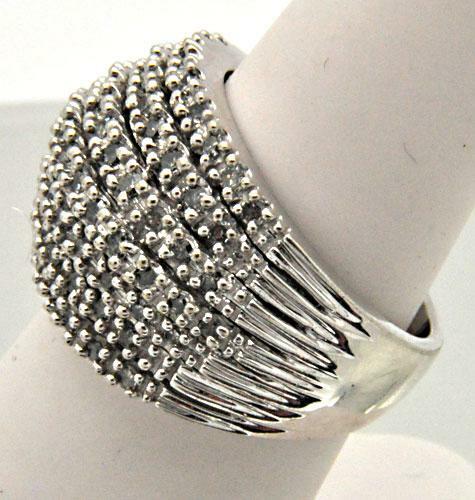 CAN BE USED AS A WEDDING BAND. A shipping fee is disclosed for each lot and includes shipping, handling and insurance coverage for each piece. Generally, merchandise will ship separately and cannot be combined with other orders. Please carefully review our shipping and return policy before committing to a bid. Shipping is only available within the U.S. and Canada. Applicable sales tax may apply. Shipments to Hawaii, Alaska, Puerto Rico, Guam, American Samoa, American Virgin islands, and Canada will warrant additional shipping charges. Canadian shipments- winning bidder is responsible for any applicable taxes/duties. Orders are submitted to the shipping department upon payment, and items will ship within 5-10 business days of payment, unless otherwise noted. When you place a bid, you are entering a binding contract. However, if you place a bid and would like to retract that bid, we will retract that bid up to 24 hours before the auction closes. This is for 1 bid only. You must contact us 24 hours prior to the auction close and there will be no legal consequences. For auctions lasting 48 hours or less, this does not apply. It is recommended that bidders research an item before placing a bid. Retail tag values, insurance and appraisal values, auction values, or any other indication of values on any auction merchandise are not guaranteed by our auction company. Winning bid determines the market value of the item. Please bid accordingly.